Cazenovia Community Preschool (CCP) was founded in 1969 and has been an integral part of the Cazenovia-area community for 50 years. It is located at 49 Burton Street, on the corner of Clark Street, in the village of Cazenovia, New York. CCP is a not-for-profit, comprehensive preschool with a mission to provide well-rounded and nurturing learning experiences for children of Cazenovia and surrounding areas, regardless of income or ability, with the goal of supporting the full development of each child's potential. In addition to preparing our students for Kindergarten, we aim to help them develop into caring citizens of our community. Our dedicated, experienced and highly-educated teachers are what makes CCP so special. Both Kindergarten-readiness classes have one lead teacher with a Master's degree in Education, plus one teaching assistant. 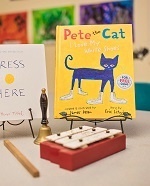 Four preschool classes and one after-school enrichment program are offered every academic year. Please visit our Programs page for more information. Cazenovia Community Preschool is governed by a volunteer board of directors, comprised of the parents of current and former CCP students, as well as members of the community. Its role is to uphold the mission of the preschool. Meetings are usually held in the evening on the second Tuesday of each month. 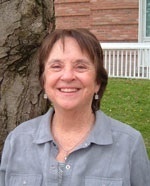 Mrs. Sessler became the executive director of Cazenovia Community Preschool in 2018. 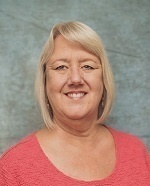 Prior to joining CCP, she served on its board of directors for three years. In addition to working at CCP, Mrs. Sessler is president of the Friends of Lorenzo, as well as the girls varsity soccer coach at Cazenovia High School. Mrs. Sessler earned a B.A. in Education from The College of Saint Rose, and a M.S. in Literacy from Syracuse University. She lives in Cazenovia with her husband and three young children. Mrs. Brown joined CCP in 2018 and teaches the Lizard Kindergarten-readiness class. Prior to teaching at Cazenovia Community Preschool, she was a substitute teacher in the Cazenovia and Jamesville-DeWitt school districts. Mrs. Brown earned a Bachelor's in Elementary Education and a Master's in Literacy from SUNY Cortland. In 2018, Mrs. Puffer became the lead teacher in the Caterpillar Kindergarten-readiness class and the Honey Bee class for three-year-olds. She joined CCP in 2014, and has previously been the teaching assistant in the Caterpillar, Honey Bee, and Monkey classes. Prior to working at CCP, Mrs. Puffer was a teaching assistant working with children from infancy up to the elementary level. Mrs. Puffer earned a M.S. in Education from the Julius-Maximilians-Universität in Würzburg, Germany. She is amazed to see her students' enthusiasm toward learning every day, making it very rewarding to be a part of their journeys. 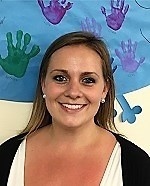 Mrs. McClintock joined Cazenovia Community Preschool in 2018 as the lead teacher in the Monkey class for two-year-olds. Prior to teaching at CCP, she worked as a 1:1 special education TA, a lead teacher for a preschool class of two-year-olds, and a nanny for two-year-old twins. Mrs. McClintock earned a B.A. in Psychology from Eastern University, and previously served on the CCP board of directors. She lives in Cazenovia with her husband and three young sons. Mrs. Warner joined Cazenovia Community Preschool in 2008 and is the teaching assistant to Mrs. Brown in the Lizard Kindergarten-readiness class. She feels very lucky to be a part of CCP, and believes that she and her students learn from each other. Mrs. Warner particularly enjoys sharing her love of nature and animals with her students. 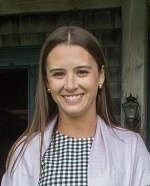 Mrs. Dougherty was a substitute teacher at Cazenovia Community Preschool prior to 2018 when she became the teaching assistant to Mrs. Puffer in the Caterpillar Kindergarten-readiness class and the Honey Bee class for three-year-olds. Mrs. Dougherty previously served on the CCP board of directors while her own children were students at the school. 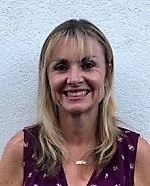 She has eight years of prior teaching experience including teaching preschool, Kindergarten and second grade. Mrs. Dougherty earned a B.S. in Psychology and English from SUNY Geneseo, and a Master's in Elementary Education with a concentration in Early Literacy from Queens College. She enjoys sharing her love of reading and writing with the students at CCP. Ms. McCullum joined CCP in 2015 as the After-School Enrichment program teacher, and in 2018 became the teaching assistant to Mrs. McClintock in the Monkey class. Prior to joining CCP, she worked with children of all ages through the Syracuse Parks & Recreation program for ten years. 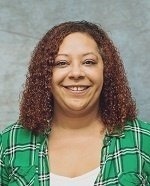 Ms. McCullum earned a Bachelor's degree in Horticulture from SUNY Morrisville. In addition to teaching at CCP, she also teaches at Kids Community Preschool in Manlius. Ms. McCullum enjoys sharing her love of science and nature with her students, and can often be found engaging them in fun art and science projects. Mrs. Flood was a teacher at Cazenovia Community Preschool for over 11 years in both the Kindergarten-readiness and three-year-olds classes. Prior to that, she was an elementary school teacher (K-6) for nine years. Mrs. Flood earned a B.S. 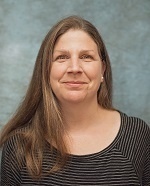 in Elementary Education from Eastern Connecticut State College, and a Master's in Elementary Education from Southern Connecticut State University. Since her retirement from CCP in 2015, Mrs. Flood returns to our classrooms on occasion as a substitute teacher. She enjoys sharing her love of reading with our students.